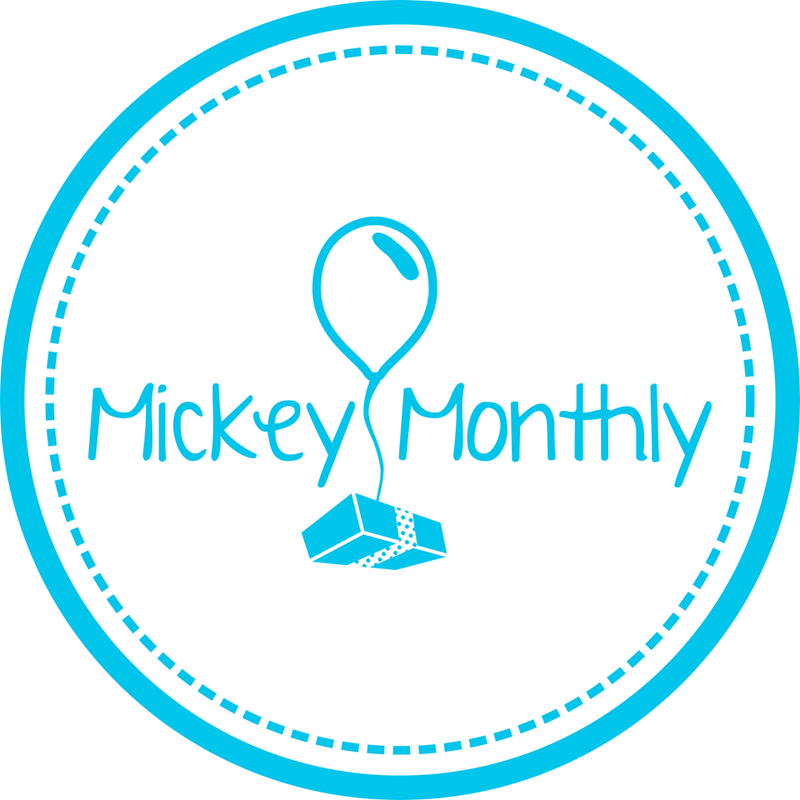 I thought I would start off by giving a review of one of my all time favorite restaurants to eat at when in Epcot. It’s Teppan Edo. It’s in World Showcase Japanese Pavilion. The check-in for Teppan Edo is right next to the very large stair case in front of Mitsukoshi Department Store. Once you check-in, you will be issued a pager and then you head up the big staircase and in. Teppan Edo also shares it’s area with Tokyo Dining which is a restaurant that focuses more on Sushi and Tempura. Here’s a link to their Lunch Menu. I checked both the lunch and dinner menus and they are the exact same. The Wafu ribs are amazing!! Lots of flavor! It is community dining, as in, you are seated with other patrons, unless you have a party of 8. Soon after you are seated, you are greeted by your server. She will be the one taking your orders and bringing your drinks and anything else you may need during your dining experience. The drink list is pretty good. There are alcoholic specialty drinks, as well as non-alcoholic. There’s a selection of Sake’s as well. Soon after you put in your order and receive your drinks, the chef comes out and introduces him/her self. The chef will confirm what you ordered. Once that is set, the dipping sauces are then poured into segmented dishes. There are 3 sauces, a ginger sauce, a mustard sauce and what they call a yum-yum sauce. If you like just ginger sauce, you can ask for just that. I tend to go with just yum-yum sauce. If anyone ordered the Wafu ribs, those are cooked first on the grill. If not, then the chef proceeds with cooking your dinner. The chef then starts what I call the show. They do many of the tricks that are famous in Japanese steakhouse restaurants. 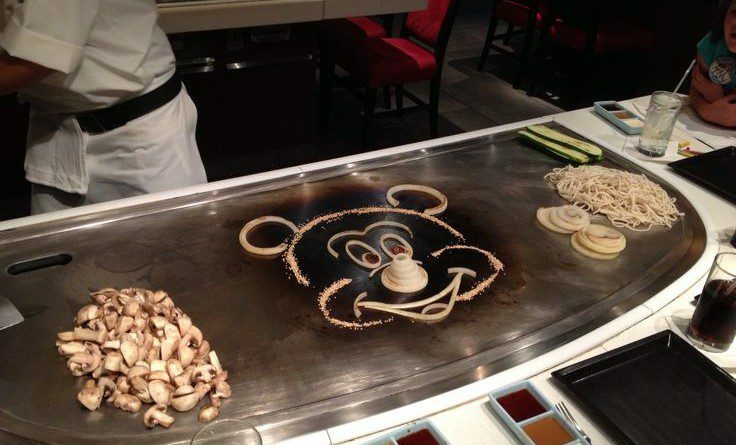 They incorporate quick a few Disney puns as they prepare your meal. Just remember, that the chef will cook your main dish in order of prep time. Usually your meal will come in parts. veggies come first, then seafood if you ordered that, then chicken, then the steak comes last. I tend to be a picker, so, I am not bothered by having it placed in sections. I have to admit, that the portions that they give you are very generous, so you won’t be going away hungry. There is a very limited dessert menu, but, the few items that are on the menu are very delicious! Overall, Teppan Edo is at least a once eat at restaurant. As I said in the beginning, I love it so much, that I tend to eat there almost every night. The staff is very friendly and just the overall atmosphere is very welcoming. The food is always cooked well and to your specification and the entree portions are very generous. It’s nice being able to see your food being cooked right in front of you. On top of that, you get a show as well! Many people will say that you can get this anywhere in the country, but, I can say from experience, nothing in my eyes compares to the Disney flare. I have eaten in quite a few Japanese steakhouses and the food just isn’t the same as it is at Teppan Edo. Even my son agrees with me. One last tidbit. If you have any kind of food allergy, they take it very seriously, and will come to you to talk over what it might be and how they will prepare your food. When you check in, they will ask you if anyone has a food allergy so make sure you speak up and let them know, since all the food is cooked together.